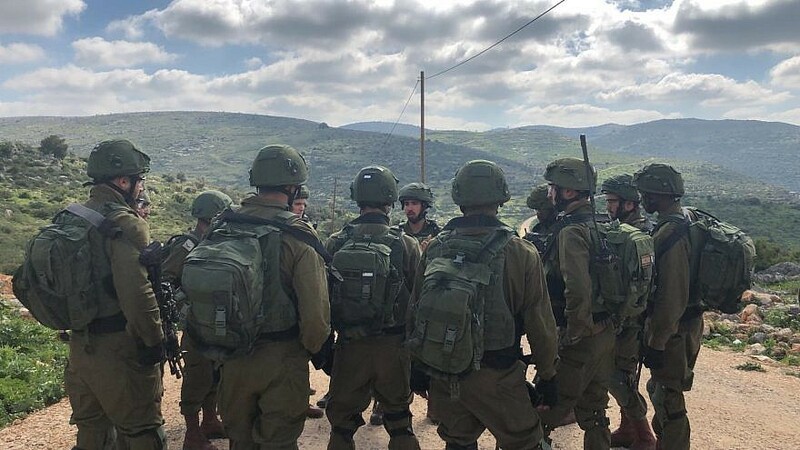 (March 19, 2019 / JNS) Israeli special units on Tuesday shot dead a Palestinian suspected of stabbing and killing 19-year-old Sgt. Gal Keidan, stealing his gun, and using it to fire at Israeli soldier Alexander Dvorsky and Rabbi Ahiad Ettinger outside the city of Ariel on Sunday. The Shin Bet announced the development. No Israelis were hurt in the mission. As of Tuesday morning, Dvorsky, who is being treated at Beilinson Hospital in Petach Tikvah, showed significant improvement and is considered to be out of immediate danger. Despite being shot in the neck and head, Ettinger, a 47-year-old yeshivah dean and father of 12 from Eli, turned his car around and begin firing at Abu Laila with his personal sidearm in the hopes of neutralizing the ongoing threat to passersby. Ettinger was also evacuated to Beilinson, but succumbed to his wounds on Monday morning. He was buried in Petach Tikvah in a funeral attended by more than 1,000 people, including students from his yeshivah, Oz V’Emunah in the Neve Sha’anan neighborhood of South Tel Aviv. Abu Laila’s father and brother were arrested in connection with the attack. Kaidan was buried in the military cemetery of Beersheva on Monday by his parents, who are immigrants to Israel from the former Soviet Union, and his two older brothers.